Made his Football League debut in 1954 and has now completed over 600 senior games for Blackpool at left back. Was first capped in 1958 against Peru in Lima and was captain of England in many of his 43 internationals. Industrious, brilliant player with tremendous stamina. 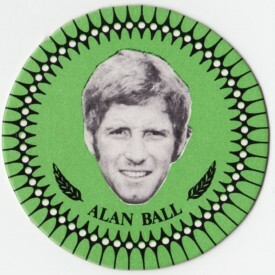 Shot to fame with Blackpool and had a superb game for England in the 1966 World Cup Final. 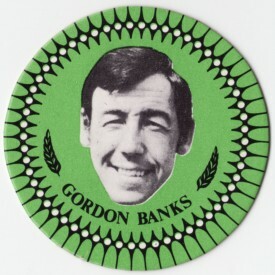 Soon afterwards moved to Everton for a then record fee of £110,000. Now captain of the Merseyside club and an established international with over 45 caps to his credit. Was once turned down by Bolton Wanderers. 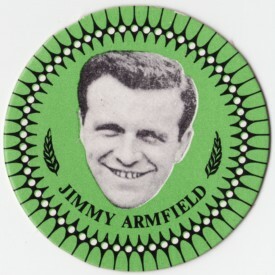 Began his professional career as a goalkeeper with Chesterfield before joining Leicester City in 1959. 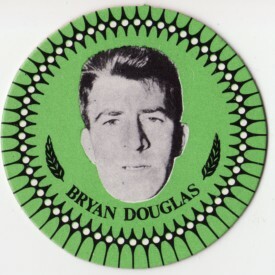 Signed by Stoke City, his current club, at the start of the 1967/68 season. Has over 60 full international caps to his credit. Superb mid-field player. Boundless stamina, good goal sense and a high work rate. Fair-haired full England international who joined Manchester City from Bury. Has won League Championship, League Cup, FA Cup and Cup Winners Cup medals. One of the world's best known and most popular players. Holder of more England caps than any other footballer (106) he has won every major honour in the game. Made his bow for Manchester United in 1955, survived the Munich disaster and became renowned for his powerful shooting and complete sportsmanship. 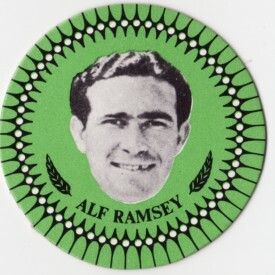 Had his League baptism with Leeds United in 1953 but his international debut came relatively late in his career. 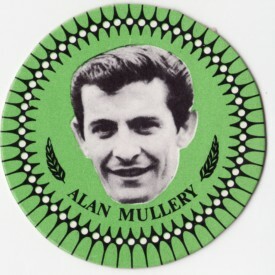 First capped against Scotland in 1964/65 but by the end of the 1969/70 campaign he had added a further 34 appearances. A multitude of honours with Leeds. Much-travelled young striker who began with Walsall. Signed by Fulham, sold to Leicester for £150,000 and to Leeds United for £175,000. 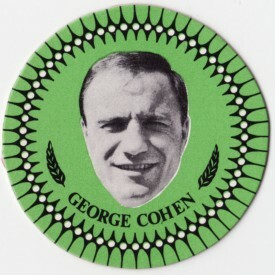 Scored a penalty for England in his first international, a World Cup match against Czechoslovakia in Mexico. Took over from Billy Wright as captain of England in 1959. Made his Football League debut for Blackburn Rovers in 1950-51 when aged just 16. Rovers was his only League club and he won a total of 35 England caps. Was right back in England's famous World Cup winning team of 1966. In all made 37 appearances for England before his career was cut short by a knee injury. Joined Fulham straight from school and spent the whole of his professional career at Craven Cottage. Tricky, exciting full back who loves to attack. Was a winger at one time but has now established his place at Leeds and with England in the number 3 shirt. First played for England in 1968/69 and is now one of the finest full backs in the world. 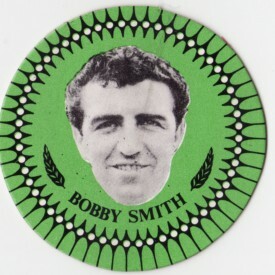 Clever, hardworking forward who took over from Stan Matthews in the England team. Later moved to inside forward. 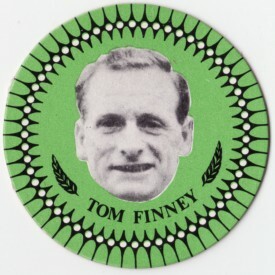 Won 36 England caps between 1957-58 and 1962-63. A local Blackburn discovery who played in a variety of positions for Rovers, his only club. Played in every forward line position with equal brilliance. Superb ball player and a prolific goalscorer. Preston born, he played for only one League club, the local North End, and is considered by many to be England's greatest ever player. 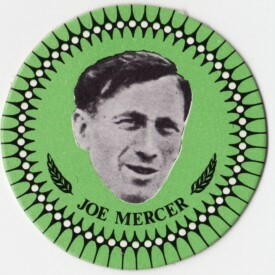 Won 76 caps between 1946-47 and 1958-59. 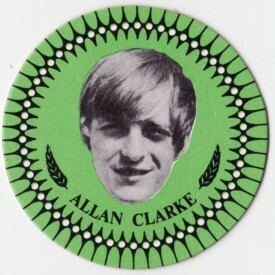 Strong, blond wing half who was a mainstay in the England and Wolverhampton Wanderers teams for a number of years. 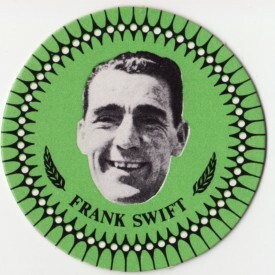 Played 49 times for England and was a key figure in Wolves' championship winning teams of 1958-59 and 1959-60. Finished his playing career with Northampton Town. Superb goalscorer with an uncanny knack of being in the right place at the right time. Was leading scorer for Chelsea in his initial season of League football - 1957-58 - but in 1960 came a transfer to AC Milan in Italy. In 1961 he returned to England with Tottenham and scored a hat-trick on his debut. 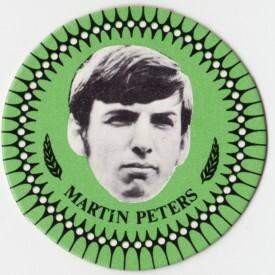 In 1970 he was transferred to West Ham in Part exchange for Martin Peters. Magnificent midfield general who gave long and loyal service to Fulham between 1952 and 1970. Was recognised as the first £100-per-week player in the Football League. 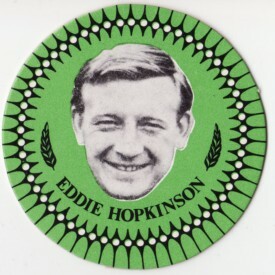 Won 56 England caps and took over from Ronnie Clayton as captain of England in 1960. A car crash two years later ended his international career. A wonderfully loyal goalkeeper of Bolton Wanderers, a club he first played for in 1952. Graduated to the full England team via the Under 23 squad and won 14 caps. Few players have given their clubs such long and distinguished service. 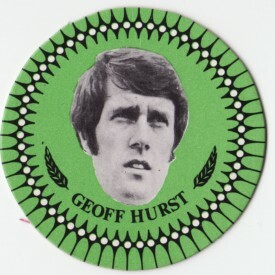 Formed a wonderful partnership with Geoff Hurst in 1966 for England. 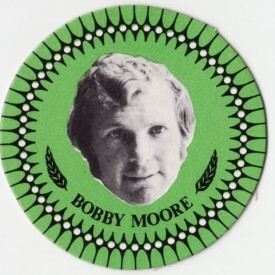 Hard-working player who broke all the Liverpool goalscoring records before moving to Bolton Wanderers in 1970. First signed for Liverpool in 1958 and in 1961-62 scored 41 goals in the same number of matches. 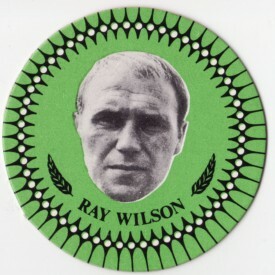 Strong, talented striker who scored a hat-trick for England against West Germany in the World Cup Final of 1966. Has since earned a reputation at club and international level as a world class striker. Was originally a wing half with West Ham but moved to a striking position with tremendous success. Good in the air with a powerful shot. 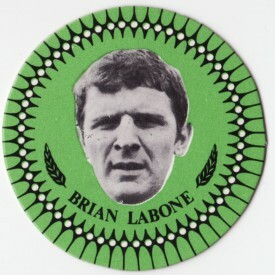 Led Everton to the Football League championship in 1969-70. 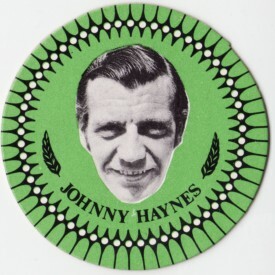 A solid, dependable centre half who took over from Jack Charlton in the England team and in all won 26 caps - the last one against Germany in the World Cup quarter final in Mexico. Joined Everton from school in 1957. Dynamic forward who loves to score goals. Possesses an explosive shot and a tremendous appetite for the game. Signed for Manchester City in 1967 from Bolton Wanderers after threatening to retire from football if he was refused a move. 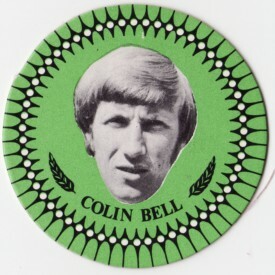 First played for England in 1968-69 against Bulgaria. 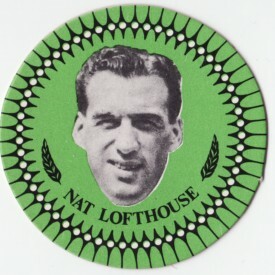 Won the first of his 33 England caps against Yugoslavia in 1950-51. Earned a reputation as a strong, hard-hitting striker. Was nicknamed the 'Lion of Vienna' after a brilliant performance against Austria in Vienna. Played for Bolton throughout his League career. One of the greatest England inside forwards of all time. Cheeky genius with wonderful ball skill and a flair for showmanship. Idolised at Middlesbrough, a full England international and a player who played to the terraces. One of the greatest players of all time, possessed superb ball control and an ability to beat opposing full backs with ridiculous ease. Attracted great crowds wherever he played. 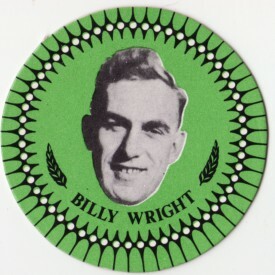 Made his League debut for Stoke City in 1932, was transferred to Blackpool in 1947, and returned to Stoke in 1961. Was a professional player for 22 years until a broken leg halted his career in 1954. Served only two clubs, Arsenal and Everton, and was captain of Arsenal when they won the F A Cup in 1950. 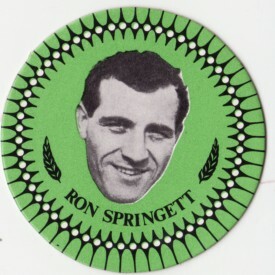 In 1955 he became manager of Sheffield United, took over at Aston Villa in 1958 but had to 'retire' through ill-health. 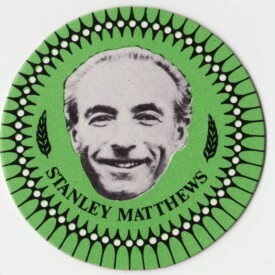 Later accepted an offer to manage Manchester City and it was he, along with Malcolm Allison, who really put the club back on its feet. Captain of England in two World Cup finals and well on his way to becoming the third English player to win over 100 caps. Made his football debut for West Ham soon after his 17th birthday in 1958. Now accepted as one of the world's leading players, is a dominant personality and an outstanding defender. Captain of Tottenham Hotspur and an established England international. Started with Fulham but moved across London to Spurs for a fee of £72,500. 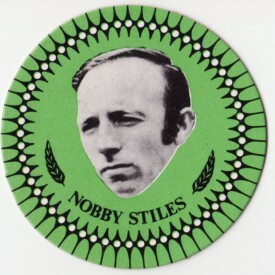 Made his England debut in 1964/65 but it wasn't until after the 1966 World Cup finals and an injury to Nobby Stiles that he won a regular international place. Brilliant ball control and an eye for goal are prime attributes of this Chelsea centre forward. 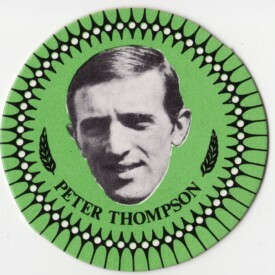 Tall, good in the air and a full England international who was blooded at Chelsea by Tommy Docherty. Fine individualist. Superbly gifted footballer who became Britain's first £200,000 player when he moved to Tottenham Hotspur from West Ham in 1970. Versatile, stylish midfield artist who likes to score goals. Played in ten different positions for West Ham. Scored one of England's four goals in the 1966 World Cup Final. Signed professional for Southampton in 1942 and seven years later was transferred to Tottenham. Won 32 England caps and was an expert penalty-taker. Was appointed manager of Ipswich Town in 1955 and led them to the Football League Championship in 1962. 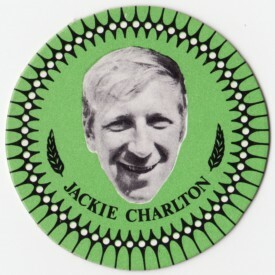 In May of the following year he became England's team manager and was knighted after the 1966 World Cup. Bustling centre forward of Tottenham Hotspur when they won the 'double' in 1960-61... winning the F A Cup and the League Championship. 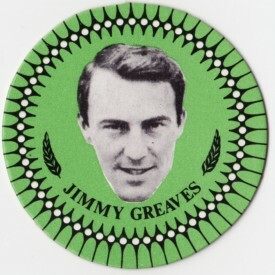 Capped by England, a powerful hard-hitting number nine who formed a wonderful partnership with Jimmy Greaves at both club and international level. 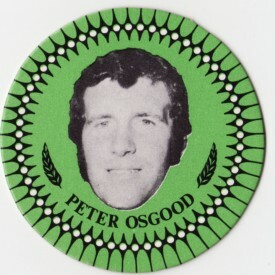 Began his career with Queens Park Rangers, moved to Sheffield Wednesday in 1958 and back to Rangers - in part exchange for his brother Peter, also a goalkeeper - some years later. 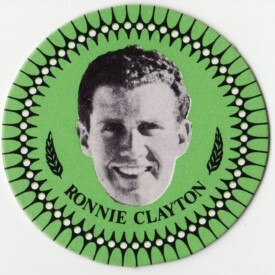 Was capped 33 times by England between 1959/60 and 1965-66. 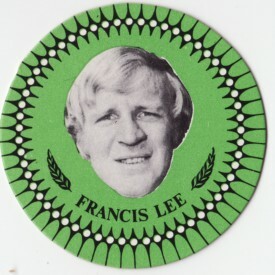 Diminutive, dynamic character who was one of England's heroes in 1966. Came up through the ranks at Manchester United, playing in a number of positions before settling down as a wing half. 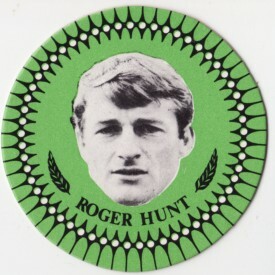 Collected 28 England caps and was in Manchester United's European Cup winning side of 1968. Tremendous character who was the mainstay of the Manchester City defence for many years. Played 19 times for England. Took up journalism after retirement and was one of the journalists killed at Munich in 1958 when covering Manchester United's game against Red Star Belgrade. Dazzling ball control and a fine shot are attributes of this fine winger. Began with Preston North End. Made his League debut in 1960 and three years later moved to Liverpool where he became a hero on Merseyside. Has won a series of major honours with Liverpool but hasn't been given a prolonged spell in the England side. Joined the Huddersfield Town groundstaff when aged 17. Was then a wing half but made striking progress after moving to full back. 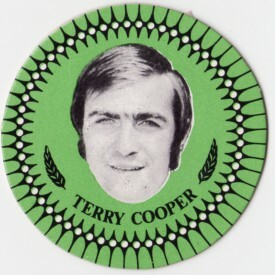 Won 63 England caps and played in the 1966 World Cup final. 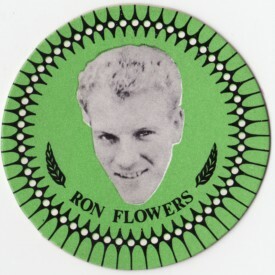 Moved to Everton prior to '66 but was later transferred to Oldham Athletic. 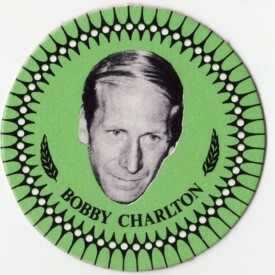 Until June 1970 was the holder of more England caps (105) than any other player, but Bobby Charlton has now surpassed his record. 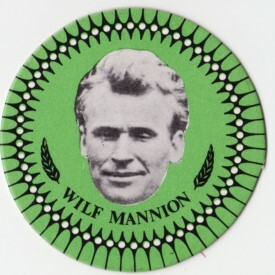 Spend the whole of his career with Wolverhampton Wanderers from 1938 to 1959. Had a short spell as manager of Arsenal but later moved into television.